Whether you have big plans for a web design overhaul of an existing site or will be building a new website from scratch in 2016, it’s important to have a strategy in mind before you begin. The choice is simple: Do you follow the road unknown filled with trends and one-off visual kudos, or stick to tried and true methods that offer longevity and can help drive website optimization for SEO and customer conversion? 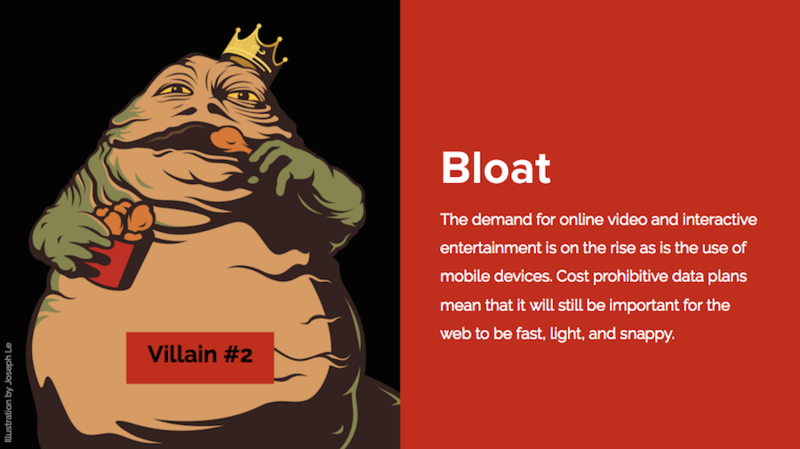 Our recent webinar, “Web Design Trends: What to Embrace and Avoid in 2016” featured Tom Osbourne, VP of Design at Viget, and focused on some of the key do’s and don’ts (or “heroes” and “villains”) of web design to help increase traffic to your site and keep customers interested once they get there. We’ve put together a recap of this informative session, featuring lots of key takeaways that you can start using today. Many designers and marketers alike find it tempting to keep up with the latest trends, often selling their final product short of quality for instant gratification. The internet is a crowded place, and so your website needs to stand out to draw visitors. Current trends lead most designers to believe they must create long-form, scroll-friendly websites with generic templates to win over visitors, even if it doesn’t suit their brand message. Of course, it’s easier to use a ready-made template instead building a custom site from scratch. DIY templates have easy-to-use functionality and give you a bit of bang for your buck on a budget. 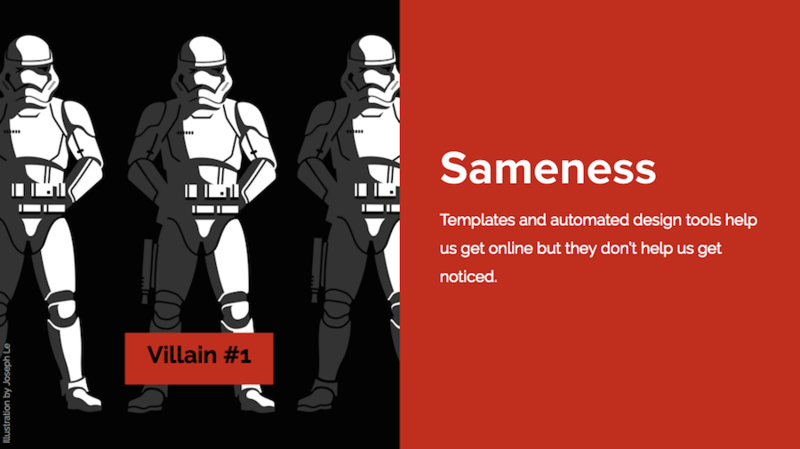 However, it’s important to keep in mind that while templates can be used as a quick fix or for novices, you’ll most likely be sacrificing individuality and the opportunity to fully optimize the user experience in the long run. If you’re in need of a killer website design but cannot allocate lots of budget towards the goal, consider starting with a basic template, but then customizing it as much as possible to fit your brand message. Alternatively, freelance designers or full-service agencies are also known for working with designer templates to enhance flare and make it appear original. Above all, whether you use a template or design from scratch, give your users a reason to not just choose your site, but to come back for more and even hit those share buttons to put your pages in front of a broader audience. While customization is often associated with being too costly, it’s more affordable than you think and there are options available for any budget. Similar to meeting a person for the first time, website design sets an initial impression for website visitors. Focus on visually appealing, user-friendly design that enables easy content management and gives your web pages favorability in search engines. No matter which route you take, design your web pages with the end user in mind. So by now, you probably understand the idea of giving your audience something good to look at, but can they actually see what you’d like them to look at is the big question. In today’s digital age, nearly 80% of all website visitors use their smartphones or other devices such as tablets to surf, tap, and scroll. Responsive website design is necessary to keep up with the needs of users who enjoy videos, multimedia infographics, and other data-rich media. Make sure that your content is easy to view, regardless of the visitor’s device. Build your design in a way that is best aligned with how you want visitors to respond to call-to-action (CTA) buttons as well. The goal is to eliminate the time they’ll have to spend scrolling or swiping to find the next steps to take while on your pages. As you’re developing your design, remember to factor in users with disabilities such as vision impairments. Accounting for nearly 75 million people in the US, disabled users are not always catered for when it comes to web design best practices. A good place to start is looking at more research about how web users with disabilities navigate the Internet in general, and an average page more specifically. Develop content that’s organized and readable on assistance devices for those who are partially or fully blind or suffer from reading conditions like dyslexia. 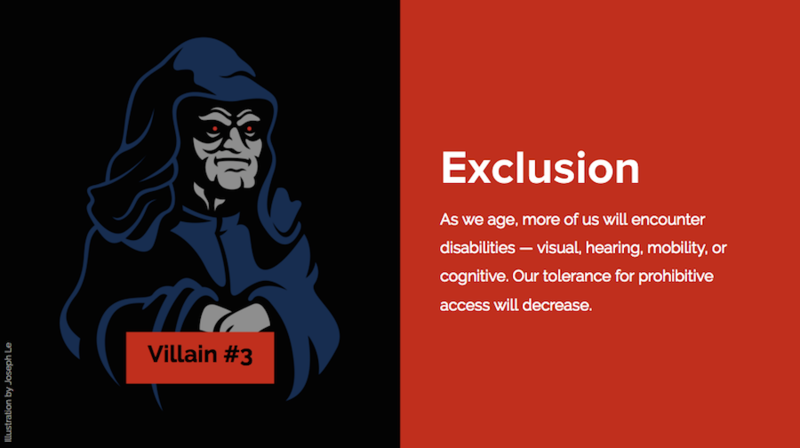 Other tips to maximize the usability factor for disabled web visitors include controlling color patterns, using alt tags in your code, and even featuring an accessibility guide when possible. When it comes to capturing attention and keeping an audience engaged, good storytelling is the only way forward. Remember that it’s more than just words on the page, but also about how other elements of design–including color patterns, fonts, images, and navigation–all tell the tale of what your brand stands for and how users relate to that message. This is one of the key places where you can go a bit extra on the individuality and experiment with different themes until you strike the right chord for your target visitor. As you get started, run a bit of A/B testing on different pages to see what speaks to web users during the soft launch. Now that you’re aware of the need for responsive web design and great storytelling, it’s also important to focus on making sure you create pages that will make it easy for a visitor to stay on your site. Don’t give users any reason to refresh, reload, or click the exit button to abandon your website completely. In terms of speed, most Internet users are used to content that loads quickly without a fuss. Keep this in mind as design and test, as even a multiple-second delay can leave some visitors on the fence about your site’s performance and whether or not they should stick around to see how it all ends. Website optimization for SEO ensures that your site will get found when people are looking for what you offer; optimizing the user experience also opens the door to repeat website traffic and potential content sharing opportunities. Never make your web visitors wait on what they want or they may seek out competitors who do a better job. In order to assist your website visitors in fully connecting the dots between content, design, flow, and the call to action you’d like them to take, you’ll need to have a good strategy for creating seamless user accessibility and comprehension. One factor to consider is the readability of your text and images, not just from the eye of web visitors, but for search engines. Increase the ‘reads well’ factor by pairing images and text for increased comprehension. And that’s not just our idea–expert research shows that web users are 323% more likely to follow through with direction that include accompanying visuals than those that only include one or the other. Also, consider that formatting is key when it comes to impeccable website design. Keeping in mind that certain fonts work better than others, putting yourself in the shoes of the target user will help you design a format that is both design-friendly, but also easy to digest and that accommodates users regardless of what type of device they are using to view your site.